I love wearing sweatshirts too, very cute. Cat poate sa fie de draguta pisicuta !! Love this casual outfit. Cute clutch Sorana. 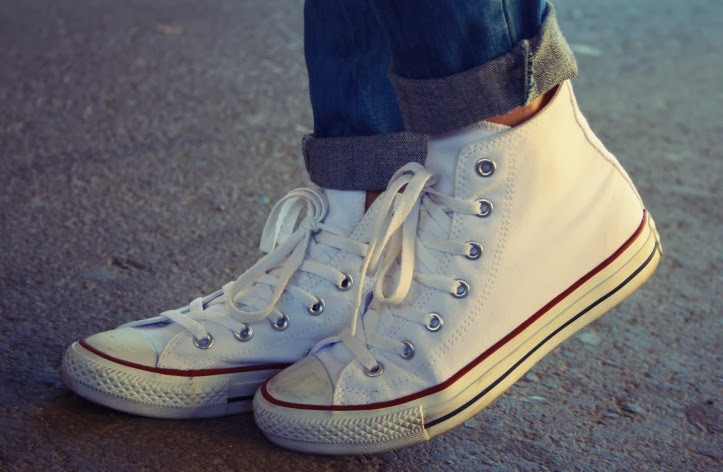 Love the converse sneakers. Iubesc albul, dar eu nu pot deloc sa il mentin, asa ca il evit! :) Foarte frumos puloverul si outfitul in general. Such a cool and casual look! I want it all soo much! love this outfit esp the sweater :) it looks so laidback, comfy and cool! You outfit is so fresh, love it! cool jeans, love the fit! se văd demențial blugii cu bascheții! Your sweater is absolutely adorable and the pink clutch is perfect with it. E foarte dragut puloverul !!! aaaww the jumper made me smile, its too cute!! I love your look, and also prefer dogs, but I confess that this kitten is very cute! Me encanta este look, es casual y chic. I prefer dogs too but this sweatshirt is so pretty. I like it. Oh my god!!! I adore the aweatshirt! Great outfit! The sweatshirt is so cute! I love how you pair it with the pink clutch. Thanks for stopping by and your lovely comment! Would you like to follow each other of GFC and bloglovin to stay in touch? Let me know, Thanks! Such cool and lovely! Love entire look! Cute images... Have you seen my baggy jumpers and beanie's post? I love wearing a sweatshirt with a nice pair of jeans. Love your clutch and your hair is really beautiful! aw! I adore your sweatshirt ! Ce draguta esti, ador pisicuta de pe pulover, toata e ea chic and trendy! !